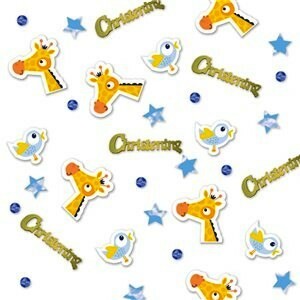 Christening Day Blue Confetti highlights the yellow giraffe with the little bird, stars and the words 'Christening'. It is ideal for decorating tables at a little boys christening day. ,br>Pack contains 14g.